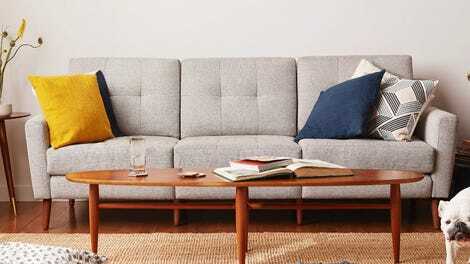 We love Campaign’s unique take on direct-to-consumer furniture, which allows you to replace the fabric cover on your chair, couch, love seat, or ottoman at will, while reusing its steel frame and memory foam cushions. And now, they’ll finally sell you sectionals too. These aren’t true sectionals, they’re more couches with chaise lounges on one side, but they still let two people lay comfortably on the couch at once, and can provide some extra seating when guests come over. 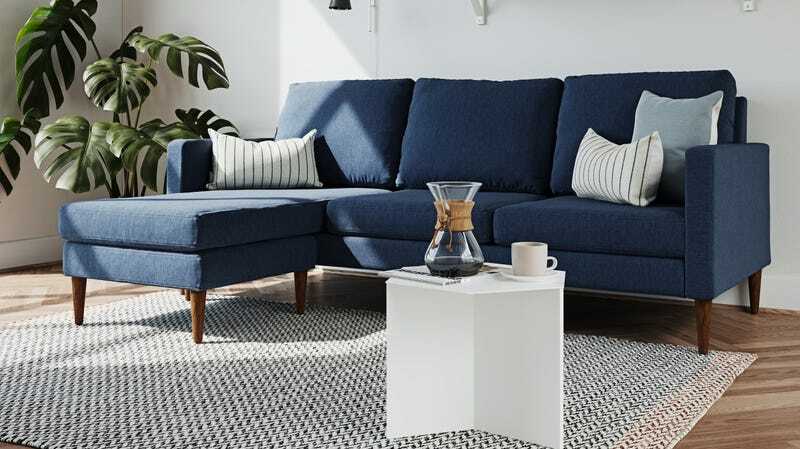 At $1,495 for a love seat or $1,895 for a sofa with free shipping, they’re competitively priced compared to what you’d find at the likes of West Elm and Crate & Barrel, and they come with your choice of slipcover (go with merino, obviously) and legs.